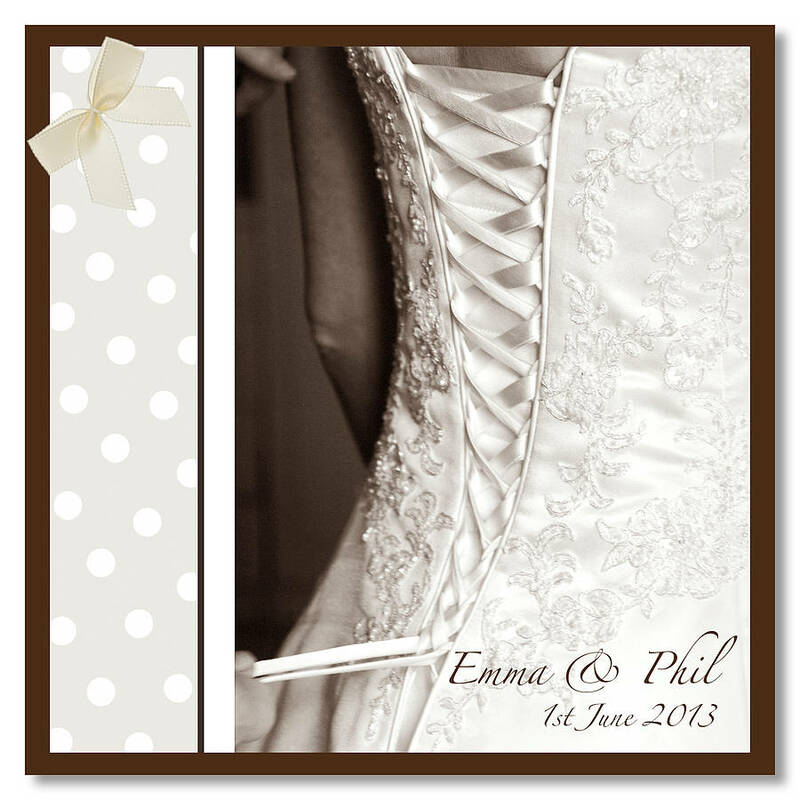 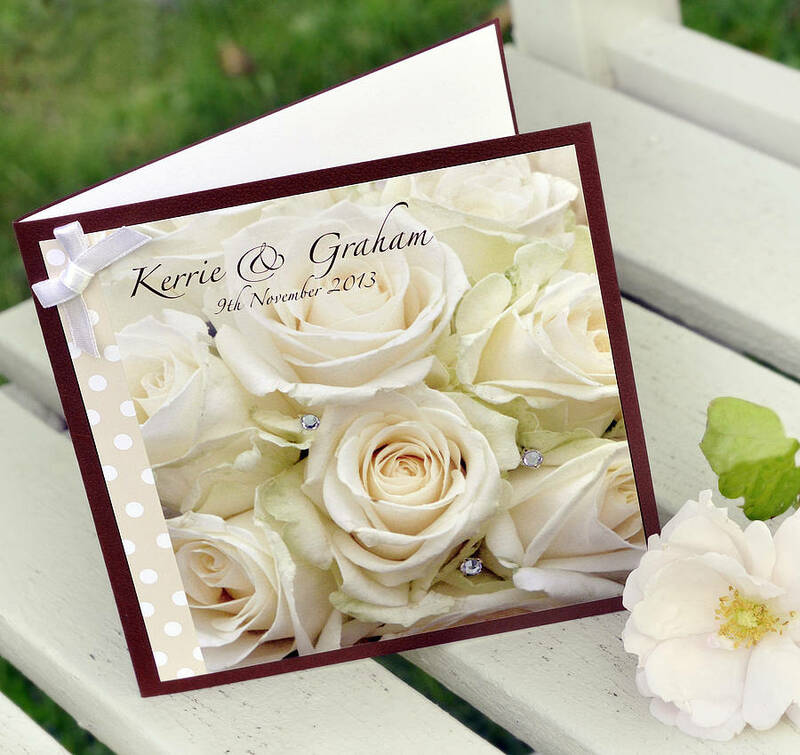 A luxury personalised photographic wedding card for that truly special couple. 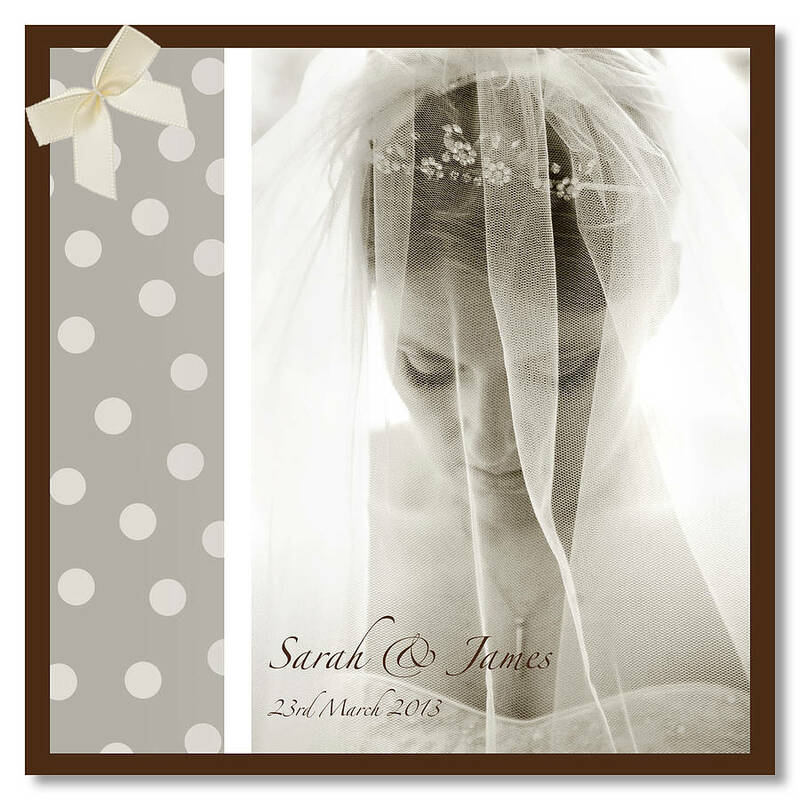 Beautiful photographic images printed on matt paper. 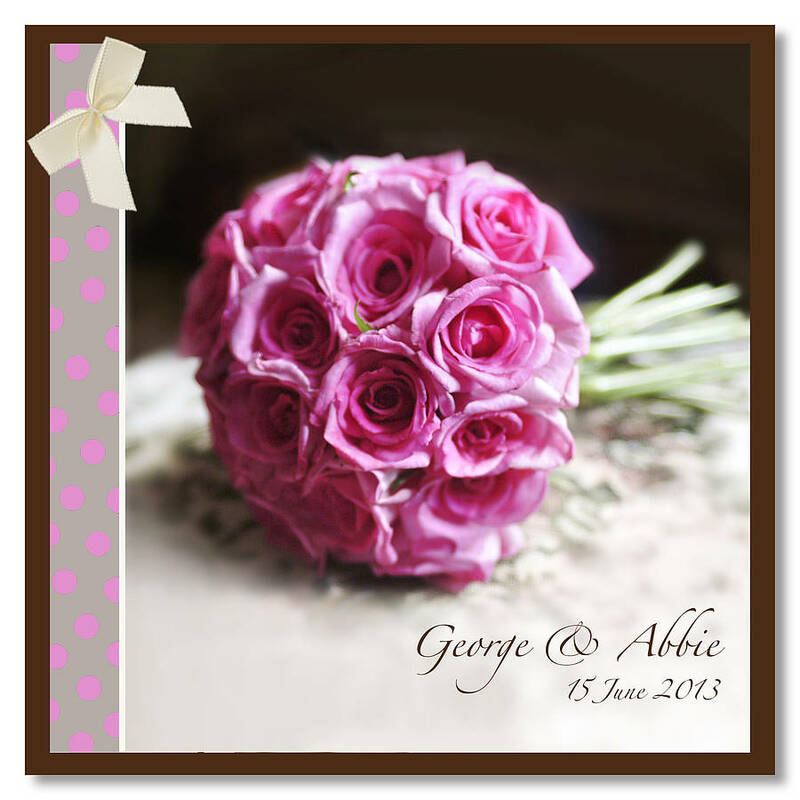 Finished with a satin bow and crystals. A special wedding card for a special couple. 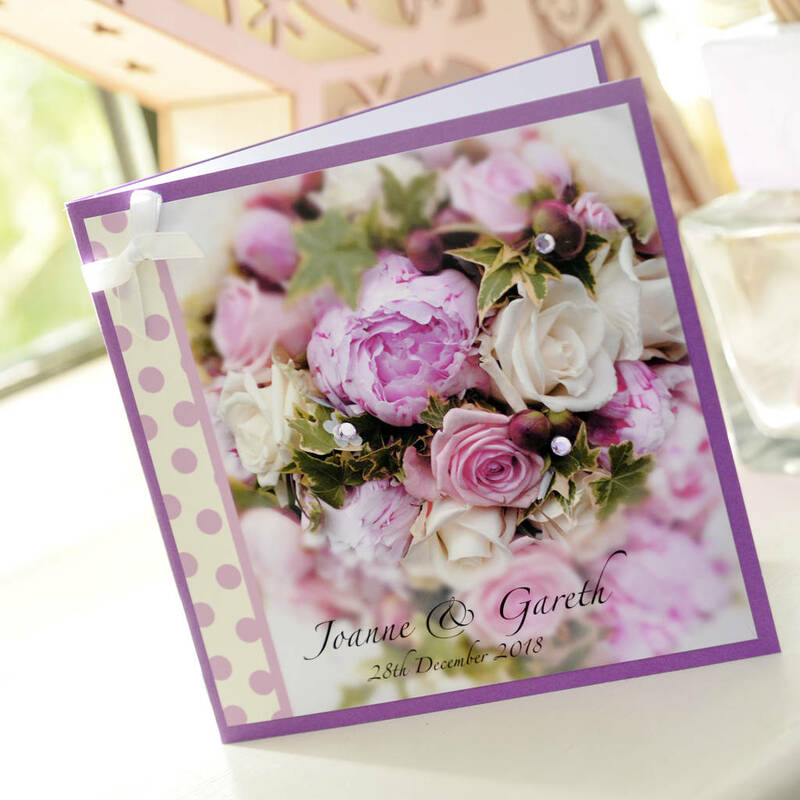 The cards feature beautiful photos of brides and bouquets. 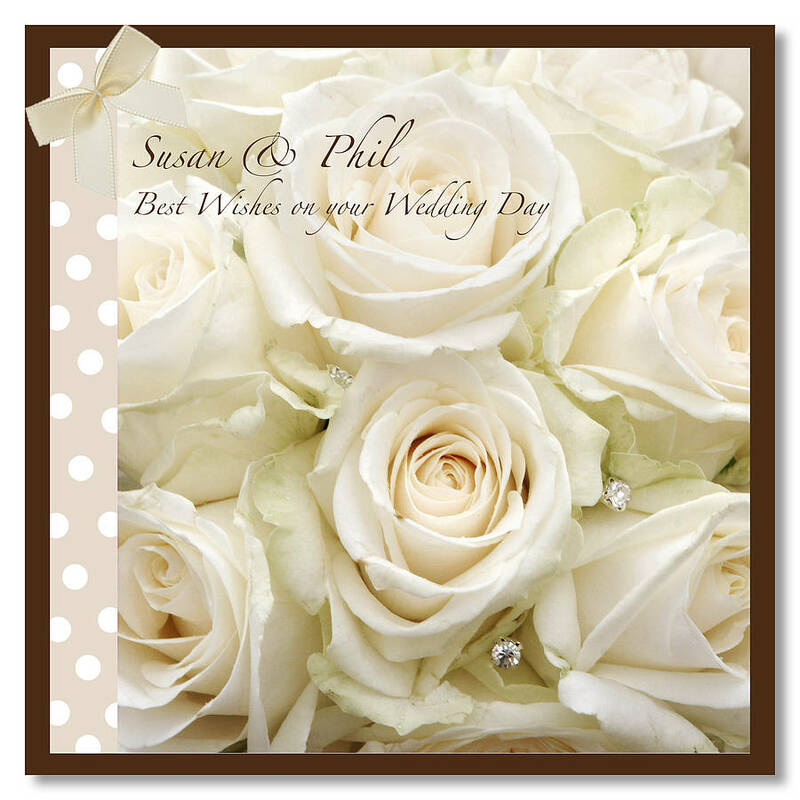 All cards are supplied with a white envelope, and are left lank inside for your own message. 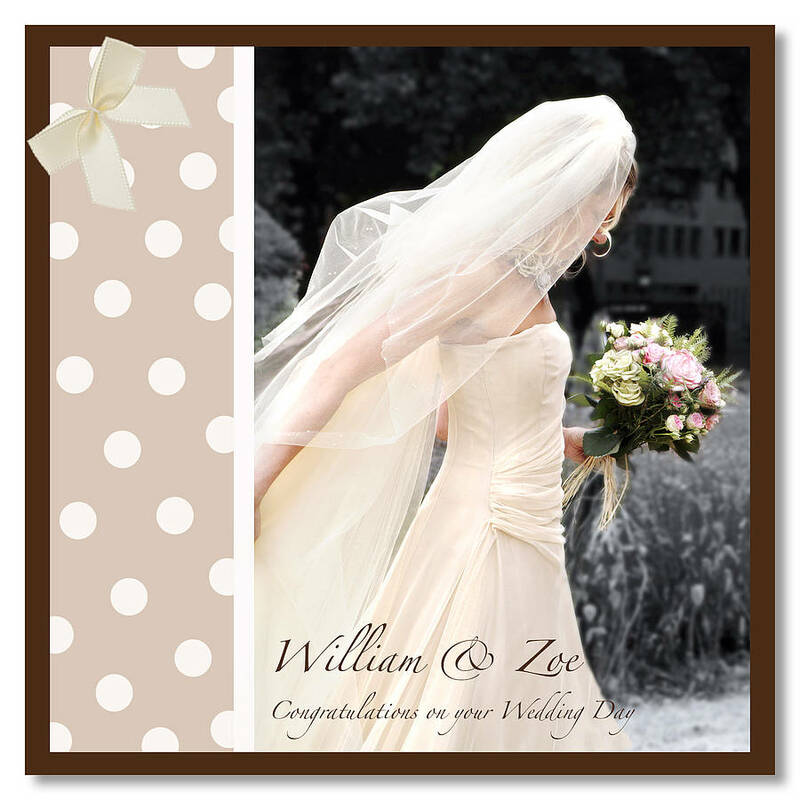 The image is printed onto archival matt paper with a white blank paper insert for writing your greeting on.